GUANGZHOU, China, Feb. 13, 2018 /PRNewswire/ -- Stage 1 of the Overwatch League inaugural season ended last week. Over five weeks, players demonstrated an extremely high level of play, showing audiences around the globe the highest level of competitive Overwatch. During this time, the Shanghai Dragons worked to identify gaps in the lineup and explore potential lineup and strategy optimization by reviewing matches. In order to create a team lineup with more flexibility and synergy amongst the players, the Shanghai Dragons management team prioritized the player signing window that began in February, focusing on bringing in the best additions for the team. Sky (Former ID: ZHUFANJUN) - He Junjian, 18 years old. Mains: Ana, Zenyatta, and McCree. Among his accomplishments, he is an OWPS Summer Series and Grand Finals champion, 2017 Overwatch World Cup quarterfinalist, 2017 APAC semifinalist, 2017 Nexus Cup Summer Series champion, and 2017 Nexus Cup Spring Series semifinalist. Sky played a pivotal role for his former team as part of their famous "death-ball" composition. 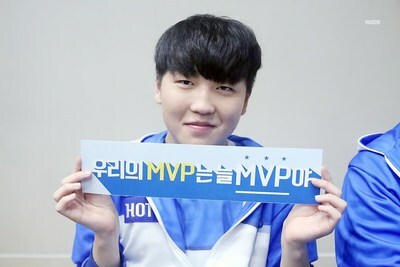 He also became known for his Sleep Darts in the match against Lunatic-Hai (now Seoul Dynasty) during the 2017 Seoul Cup. He is an important addition to the Shanghai Dragons' support lineup. Geguri - Kim Se-Yeon, 19 years old. Mains: Zarya, D.Va, and Roadhog, and can play other heroes. She competed during the group stages of APEX Season 4. Geguri's Zarya win rate reached 80% on the Korean server one point, resulting in the community giving her nicknames like "World's Best Zarya" and "God Zarya." Geguri expanded her hero pool recently and now plays D.Va at top level as well. She will be a strong addition to the tank line of Shanghai Dragons. Fearless - Lee Eui-Seok, 20 years old. Mains: Winston, Reinhardt, and Roadhog. 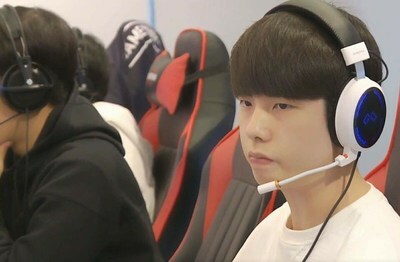 With his former team, he won APEX Challengers Season 5 and 2017 SURGE, and placed third at the 2017 Nexus Cup Annual Finals. 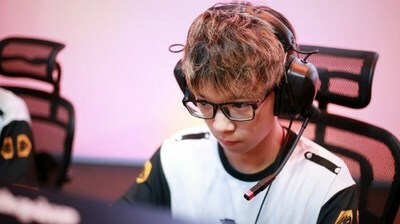 As a main tank, Fearless plays very aggressively and was the main reason the team won APEX Challengers, contributing to the "ultimate dive." He is a powerful addition to the tank line of Shanghai Dragons. Ado - Chon Gi-Hyeon, 19 years old. Mains: Genji, Tracer, Pharah, and Doomfist. He competed in the group stages during APEX Season 4 and made the quarterfinal of APAC Season 2. Ado is renowned for his Genji. During APAC Season 2, his Dragonblade usage helped the team win two rounds in unfavorable conditions. 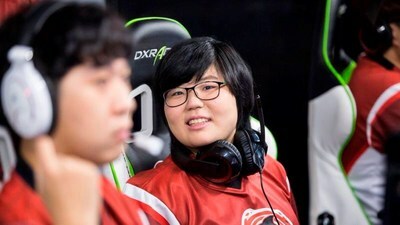 Ado also plays other heroes at a high level, and he will fill the indispensable projectile DPS role of Shanghai Dragons. The Shanghai Dragons look forward to tackling the core problems of the team with the help of these new signings, as well as showcasing more competitiveness in skills and tactics with better performances in the matches ahead. They are also working on a player selection policy for Chinese professionals for Season 2. By then, there will be a transparent and comprehensive selection method, which will guarantee a fair and just selection process for the opportunity to compete on a global esports stage. The Shanghai Dragons are now actively working to bring the four players to the United States. They are securing visas and communicating league rules, as well as providing language assistance, professional education, and logistical support. All members of the Shanghai Dragons will work together to help the four new players adjust to the high-intensity competition of the Overwatch League so that they can show their best form and level of play.